Every day, nurse managers tackle an array of responsibilities – from staff leadership, patient care, and budgeting to record keeping, hiring and training – that come with a host of ethical dilemmas. Ethical issues happen when choices need to be made, the answers may not be clear and the options are not ideal. The result could be declines in the quality of patient care, problematic clinical relationships, and moral distress, which is defined as knowing the right thing to do but not being allowed or able to do it. Nurse managers, in particular, are susceptible to ethical issues and moral distress because of their leadership and mentoring roles. Nurses and other medical staff look to managers for appropriate and ethical decisions. Before stepping into a role as a nurse manager, registered nurses (RNs) should understand the role ethical decision-making plays in the day-to-day work. Through Duquesne University’s Master of Science in Nursing (MSN) programs, students explore the foundations of ethical management and leadership from professors with real-world experience. The coursework not only covers the fundamentals of ethical nursing but delves deep into controversial case studies, giving students the chance to examine alternative viewpoints and develop reasoning skills. The ANA adopted its first code of ethics in 1950. Since then, it has undergone several revisions to offset advances and changes in research, technology, law and overall challenges in nursing. The guidelines are divided into nine provisions that cover topics that include human dignity, confidentiality, moral virtue and healthcare as a right. The ANA said each of the provisions covers topics important to the challenges of nursing in the 21st century. “The code is particularly useful in today’s healthcare environment because it reiterates the fundamental values and commitments of the nurse, identifies the boundaries of duty and loyalty and describes the duties of the nurse that extend beyond individual patient encounters,” the ANA said in a statement. Daily, nurse managers face a barrage of decisions and must maintain ethical fortitude to ensure the health, safety, and wellbeing of the patients and staff. Even though nursing is a fast-paced job with new challenges daily, many nurse managers report facing similar ethical dilemmas. A recent study found the most frequently occurring and stressful ethical situations are protecting patients’ rights, staffing, advanced-care planning, and decision making. Exacerbating the problem is the large number of inexperienced nurses entering the field, many who have never faced healthcare-related ethical questions. Such challenges make experienced nurse managers all the more critical to daily healthcare needs nationwide. Honesty vs. Withholding Information – Family members may want to withhold medical information from the sick to protect their emotions. However, patients have the right to know about their medical conditions. Deciding how to share this information, especially if it goes against the family’s beliefs, can be a touchy situation. The ANA advocates for truthtellling, or veracity, as a key factor in nurse-patient relationships. Science vs. Spirituality – Healthcare, which is science-based and results-driven, can impede on religious or personal beliefs. Some religions restrict medical interventions and lifesaving techniques. Nurses focus on providing medical care to reduce suffering, and to allow patients to concentrate on self care. For patients or their families with strong religious or spiritual convictions, the focus may be on adhering to a strict set of guidelines. Healthcare Needs vs. Resource Allocation – The rising cost of healthcare is increasingly putting nurse managers at odds with budgeting constraints and patient needs. A large number of medical facilities have scarce resources which puts patients at risk for not getting the care they need. These resources range from medical equipment to healthcare staff. Research suggests nurse leaders must include staff in the budgeting process so they can better understand the needs and demands. Autonomy vs. Beneficence – Nurses are required to administer prescribed medicine, but patients, at the same time, can refuse them. Patient autonomy can go against medical directives, despite clearly defined needs. Patients have a right to refuse all medical care. 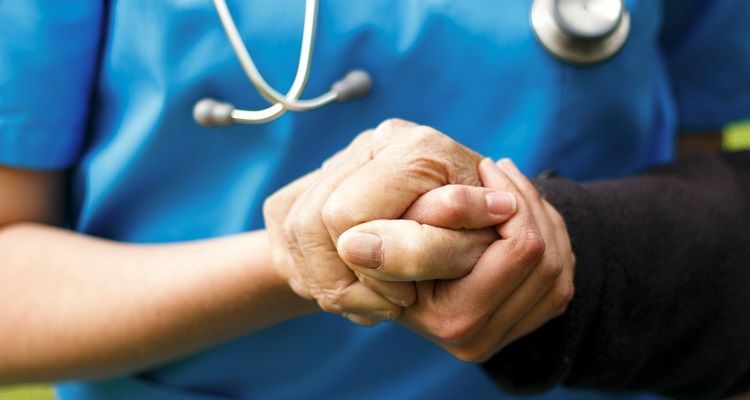 The ANA highlights that it is important for nurses and nurse managers to understand patient backgrounds and individual circumstances to inform the patient of the medical necessity. “Using ethical principles to arrive at a solution should be done in an atmosphere of caring, respect, openness, and honesty. This process should be based on a sound ethical, decision-making model, using the best evidence-based-practice guidelines available,” the ANA explains. The Duquesne University School of Nursing’s MSN program integrates ethical problem solving and decision making to help MSN graduates explore and address ethical issues. Students in each of Duquesne University’s MSN specialties — Forensic Nursing, Family (Individual Across the Lifespan), and Nursing Education and Faculty Role – learn how ethics and problem solving plays distinct roles in nursing. U.S. News and World Reports ranked Duquesne University’s online MSN program among the Best Online Graduate Nursing Programs in 2017. For more information, visit DU’s MSN program website.